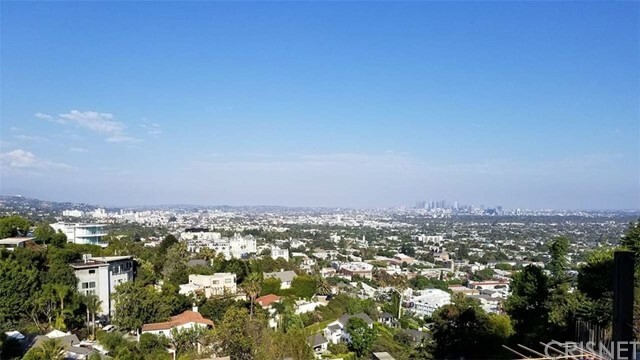 All West Hollywood homes currently listed for sale in West Hollywood as of 04/21/2019 are shown below. You can change the search criteria at any time by pressing the 'Change Search' button below. If you have any questions or you would like more information about any West Hollywood homes for sale or other West Hollywood real estate, please contact us and one of our knowledgeable West Hollywood REALTORS® would be pleased to assist you. "Encompassing the entire top floor of the world-renowned Sierra Towers, this unprecedented 7,000-square-foot double penthouse is a rare and coveted blank canvas awaiting a discerning buyer's unbridled vision. The sprawling, raw space showcases soaring 15-foot ceilings and floor-to-ceiling walls of glass that capture jaw-dropping, 360-degree jetliner views that stretch across the Hollywood Hills, Los Angeles and Downtown L.A. to the ocean. Approximately 4,000 square feet of sweeping terraces encir"
"Soaring above Los Angeles on the top floor of the world-renowned Sierra Towers, this magnificent 3,516-square-foot penthouse is a rare, blank canvas awaiting a discerning buyer's unbridled vision. The sprawling, raw space showcases soaring 15-foot ceilings and floor-to-ceiling walls of glass that capture jaw-dropping, jetliner views that stretch across the Hollywood Hills, Los Angeles and Downtown L.A. to the ocean. Sweeping terraces encompass the residence, flowing seamlessly off sliding walls "
"Sierra Towers. LA's trophy high-rise built in 1965 and designed by the renowned Beverly Hills contemporary architect Jack A. Charney, who studied under Richard Neutra and Rudolph Schindler. Centrally located between the Sunset Strip and Beverly Hills, this unique offering is the only two-story combined unit in the building and comes with an almost unmatched celebrity pedigree. Previously owned by Cher, David Geffen, and Vincent Gallo. Encompassing approximately 2,300-square-feet on the 26th and "
"Welcome to your jewel box in the sky! Exquisitely renovated with only the finest materials and finishes, no expense has been spared. This highly coveted open floor plan is perfect for entertaining. Walls of glass open to the fabulous private wrap-around terrace. Surround yourself with breathtaking city, ocean and lush hillside views. Magazine worthy living room and dining area. State of the art gourmet kitchen. Sumptuous master bedroom features a luxuriously appointed bathroom and an oversized w"
"Rare NE corner residence; Created by renowned architect John Pawson, The Residences at the West Hollywood EDITION are inspired by the unique spirit of Los Angeles. Indoor and outdoor living elegantly intertwined in this 2 bedroom unit facing the iconic Hollywood Hills. Walls of windows glide along tracks until they virtually disappear while bronze-hued louvered screens filter sunlight. With ceiling heights over 10' and a 128 SF outdoor terrace, this unit redefines vertical living." "Attention Developers! Two Lots Located in West Hollywood 1006 & 1010 N Edinburgh. Over 12500 sq ft lotThe combined lots offer a unique opportunity for a developer. Zoned to accommodate to 12+ units and sitting on a 98' x 126' lot. Zoned R4 with 3 stories Existing buildings are two 1 story houses on their respective lots. Buyer to verify all the information .Price is just for the value of the land.Sold together ONLY.Offers to be submitted by 04/18/2019"
"Sierra Towers coveted 26th Floor Southwest Corner of approximately 2,357 livable square feet. Originally built as a 3 Bedroom 3 Bathroom unit, the currently expansive empty space is the ultimate blank canvas for its future owner. Enjoy resort style living in Southern California's most prominent Condominium Building with this residence's 180-degree jetliner views spanning from downtown to the ocean." "Created by renowned architect John Pawson, The Residences at the West Hollywood EDITION are inspired by the unique spirit of Los Angeles. Indoor and outdoor living elegantly intertwined in this 2 bedroom unit facing the iconic Hollywood Hills. Walls of windows glide along tracks until they virtually disappear while bronze-hued louvered screens filter sunlight. With ceiling heights over 10' and a 128 SF outdoor terrace, this unit redefines vertical living." "Fall in the love with this 5 bed / 5.5 bath / 5425 SQ FT home in the heart of West Hollywood. This elegant Spanish stunner built in 2017 boasts custom hardwood floors, SONOS sound, Restoration Hardware fixtures, and 11 ceilings throughout a well designed layout that provides the opportunity for intimate gatherings or large scale entertaining. The Living, Dining, and Family Room wrap a tiled interior courtyard complete with fire pit. A chef s kitchen combines gorgeo"
"Stunning, completely updated Penthouse with amazing views of Hollywood/hills/city. Renovated with the highest quality of materials and designer finishes in 2018 this 3,000+SF penthouse features a complete wall of fleet wood doors that open on to a patio running the length of the living room and dining room. At one end is the master suite that rivals any five-star hotel. With automated curtains, a fireplace and a spa like bath with a soaking tub, makeup vanity and a walk-in closet fit for a shopa"
"WDR4 development opportunity for sale in highly desirable location! Two adjacent parcels located at 1229 and 1235 N Olive are currently for sale as well by unassociated Seller. Current structure has been remodeled and offers 3 bedrooms, gourmet kitchen and large entertainers yard with pool and mature landscaping. The possibilities and potential are endless." "Pride of ownership property in prime West Hollywood with a current cap rate of 5.5+%. Compound consists of a 3+3 single-family residence and detached 2+1 stacked duplex. Structures are separated by an enormous pool. Compound is gated with parking for 6. Tenant is an in-patient facility licensed by the state and approved by the City of West Hollywood to operate. Located across from the Edition Hotel with units that sold over $2,000/sq ft and six mixed-use projects within a 1/4 mile radius. APN in"
"Welcome to the crown jewel penthouse at the iconic 818 Doheny. This premiere south facing corner unit features some of the best and most sought-after views in LA. Spanning from the DTLA skyline all the way across to where the Santa Monica mountains meet the ocean. This designer done turn-key home features bedrooms on opposite ends separated by open concept living/dinning/kitchen. Master bedroom with large walk-in closet and stunning spa like bath with ultra-high-end fixtures. Custom made NanaWal"
"RARE OFFERING EXQUISITE REDONE 3BD & 3.5BA IN FULL SERVICE EMPIRE WEST BLDG. THE BEST UNOBSTRUCTED PANORAMIC VIEWS FROM EVERY ROOM. WOOD FLOORS, FLEETWOOD WINDOWS, SPA LIKE MASTER BATH WITH STEAM SHOWER, AUDIO/VIDEO,TOP OF THE LINE KITCHEN, LUTRON SYSTEM, WASHER/DRYER & MORE. BLDG FEATURES 24HR RESIDENT & GUEST VALET PKG., 24HR CONCIERGE & SECURITY, GYM, TENNIS CT., ROOFTOP POOL & BANQUET RM., DOG PK. & MORE. ONE BLOCK TO SANTA MONICA BLVD. & SUNSET BLVD. SHOPS, RESTAURANTS & NIGHT CLUBS & MORE!" "Perched above Sunset Strip with spectacular jetliner views of Hollywood Hills, Downtown LA and beyond from every room. The property sits on a street to street lot and is a truly tranquil and private residence. Offers 4 bedrooms/ 4 baths plus den. Separate and private office/artist studio with fireplace and wet bar located above the two-car garage. Completely renovated. Formal entry. Step down living room with the fireplace & folding doors that open to the balcony with sweeping views. Family room"
"Rarely does a home of this exceptional quality & design come available in one of LA's most iconic luxury high-rises, Empire West. Featuring one of the largest floor plans available w/ unobstructed city views, this exquisite designer-remodeled residence features imported fixtures, herringbone walnut wood flooring, walls of glass and designer details w/ no expense spared. Luxury details include stone fireplace, custom built bar, high-end millwork, and 2 well-appointed bedrooms & bathrooms. Newly r"
"Rarely offered original layout with 2 bedrooms, 2.5 baths. Enjoy a peaceful residential setting from this northeast corner unit with both hillside and city views. Floor to ceiling glass in every room opens out to the oversized terrace spanning the entire unit. Updated kitchen and baths make this the perfect opportunity to own in one of the most sought after locations in Los Angeles." "Turn-key 2 bedroom with exceptional style and quality. Wonderful open kitchen by Poliform, custom office area, large terrace, and over 1,700 square feet of living space. Second bedroom is currently configured as a closet. Enjoy views of Sunset Strip and Century City from this Southeast corner unit." "PRICED TO SELL! Stunning fully renovated 3,200 sq ft unit in the classic Doheny Plaza. This beautifully designed 3 bedroom, 4 bath condominium with incredible Fleetwood slider floor to ceiling doors that open up to panoramic views is situated in the most sought after location in the building. The open floor plan invites the gourmet kitchen, breakfast/dining area, and living room into a brilliant entertainment space. The dining room has a built-in dry bar which flows seamlessly off the living roo"
"Loaded with style, this two-story private and gated home is set on a large, beautifully landscaped corner lot in the heart of West Hollywood. Meticulously detailed with wood floors, large windows, and high ceilings, the open-plan layout is ideal for indoor-outdoor living, casual relaxation, or lavish entertaining. The formal living room, with fireplace and built-in shelving, has wraparound windows onto the front courtyard. Through a wide doorway, the cook's kitchen and dining area open onto a la"
"The most iconic, architecturally significant high-rise building in Los Angeles... The Sierra Towers. Built by world famous Architect Jack Charney. Entertain guests on your own private terrace overlooking the Beverly Hills flats. This full-service building offers world-class amenities, valet parking, 24hr switchboard, saltwater pool, fitness center & the most incredible views of LA all the way to the ocean. Floor to ceiling walls of glass encase this sensational southwest facing completely reimag"
"Rare opportunity to acquire a 4-unit residential compound on a large, private lot in the prime location of Sunset Plaza; where Beverly Hills and the Sunset Strip meet. Gated & secure for privacy, the property features 3 detached buildings with a total of 4 units - a two-story, 3-bed + office main house with 1920's Craftsman architecture w/private driveway, front porch and backyard with plenty of room for a pool; a separate detached 2-bedroom house w/open floor-plan & private backyard; and an add"